يشكل فندق سوديما هوتيل كريست تشيرش إيربورت بموقعه الممتاز في قلب مطار كرايست تشيرش نقطة انطلاق ممتازة لاستكشاف كرايستشرش. يقع مركز المدينة على بعد 10 km فقط. ويمكن الوصول إلى المطار خلال 2 دقيقة. يوفر الفندق بفضل موقعة الجيد وصولاً سهلاً إلى أهم معالم المدينة.
. كما يقدم سوديما هوتيل كريست تشيرش إيربورت الكثير من الخدمات لإغناء رحلتك في كرايستشرش. يمكن للنزلاء الاستمتاع بالميزات التالية: خدمة الغرف على مدار الساعة, أمن على مدار 24 ساعة, متجر, خدمة التنظيف يوميًا, مدفأة أثناء إقامتهم في هذا المكان الرائع. لقد جهزت هذه الإقامة الفندقية بعناية فائقة لتوفر مستوى عالي من الراحة. في بعض الغرف يجد النزيل تلفزيون بشاشة مسطحة, غرفة معيشة منفصلة, اتصال لاسلكي بالإنترنت, غرف لغير المدخنين, مكيف هواء. سواء كنت من محبي الرياضة أو كنت تتطلع لتفريغ عناء نهار صعب، ستجد خدمات ذات مستوى عالي بانتظارك كمثل مركز للياقة البدنية, مسار جولف - ضمن 3 كم. مهما كانت أسبابك لزيارة كرايستشرش، فإن سوديما هوتيل كريست تشيرش إيربورت هو الخيار الأفضل لإقامة مثيرة وممتعة. This would ordinarily be more of a choice for a transiting business traveller. We stayed here as we had a 06H10 flight to Australia. Somewhat expensive, but no complaints. Hotel also offered free shutttle to the airport which was handy. The nearest hotel to the airport, nice & clean. It has 24-hour shuttle service, just call 26 with free phone service at the airport (International arrival gate). This hotel is suitable for anyone who has early morning or late at night flight. Plus, it's near to the many shops, count down supermarket, and restaurants. It's also easy to get to the city center by bus, because the bus stop is nearby the hotel. If you have early morning flight, this hotel is one of the best option. Location very near airport about 5 to 10 minutes walk, there is shuttle bus provided from hotel to airport based on request because we were going to airport at 4am and it is free. Nearby hotel also got a few restaurant and Countdown supermarkets. Hotel room looks new and very good condition. Bed also comfortable to sleep-in. Bathroom very clean as well. Overall it is a pleasant stay for us. Had a very good lay over here. Arriving late into the airport. The pick up and checkin were faultless. The room had excellent facilities. Would definitely stay again. Nicely located next to a supermarket and range of food outlets. We've stayed here only for one night due the early flight. Recommend by our sister. Hotel is new built after earthquake. Very clean and good location indeed. Staff are very helpful, receptions, restaurant staff, the concierge, the bell boy which mature man lol, the shuttle to the airport, all were very helpful. 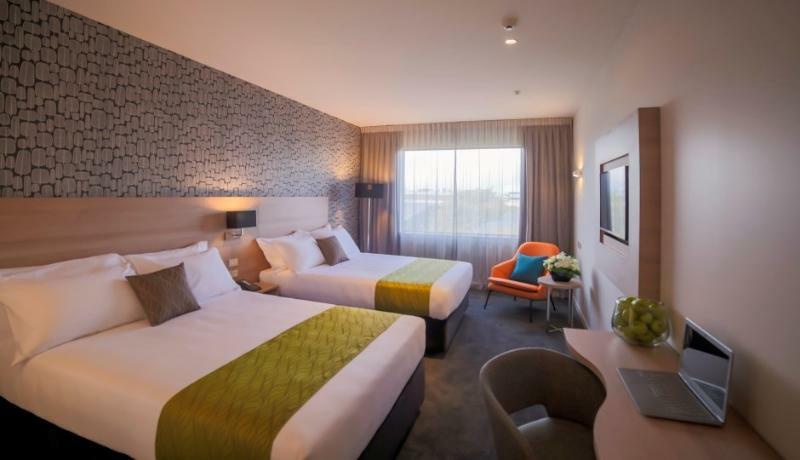 I just the the price a little bit too high but maybe it seem to be this way as I found other nice hotel around in NZ also a bit pricy. Me and my partner had just finished a wonderful campervan trip around the south island and stayed here the night before heading on a flight home. The staff were very accommodating and friendly. Facilities are basic but clean and comfortable. There were food places within walking distance which was convenient. Would come back! 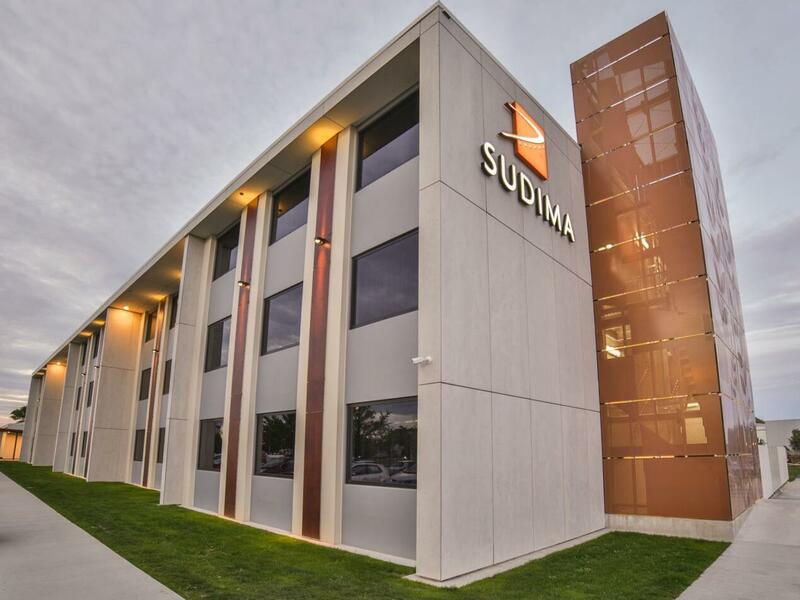 I arrived at the recommended Sudima at 2pm from a holiday in the south island. The bar and restaurant were excellent. Well-priced quality food and beverage was served by friendly attentive staff . I used Sudima airport shuttle and porters to transfer luggage to and from my room; all done with a smile and offers to go above and beyond. The added attraction for me was that I had a half day prior to my flight to Perth so I visited the amazing Anrartic Exploration next door which was an amazing experience!! 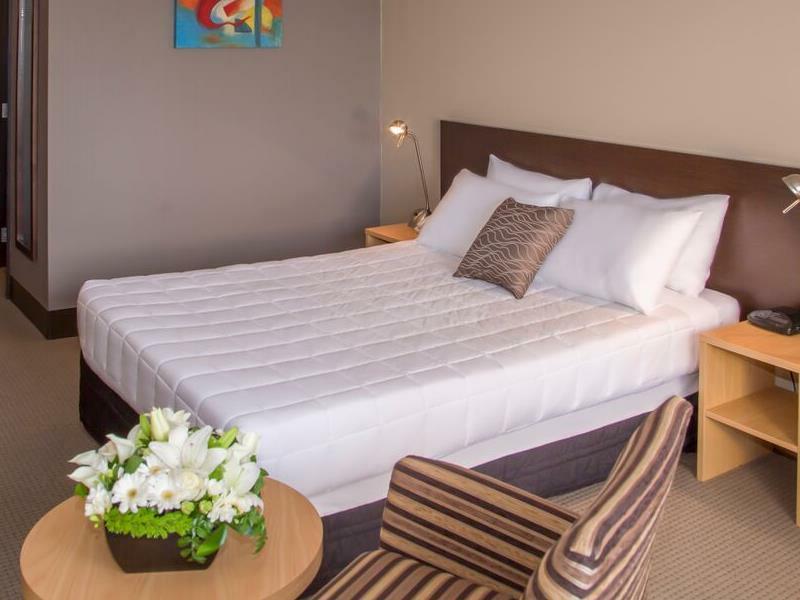 The hotel is conveniently located near Countdown and many cafes, restaurants and takeaway outlets. I will definitely use again and Ive recommended to my family. A great overnight stay before an early flight. From check in to concierge, driver & restaurant wait staff were all excellent; the room quality & fittings were brilliant as well. 100% happy from an ex-commercial traveler!!! Enjoyed our stay at this hotel 1) Staff was kind and helpful 2) room service food was great 3) airport transfer was smooth 4) they have luggage weighing machine that helped us to estimate for our last minute packing. Staff are friendly here. And I particularly like that even for a 0600 international flight, I can wake up at around 0415 and be quite comfortably checked in by 4:55am to catch my flight. There's a free shuttle van that'll take you to the airport but if you prefer the short walk, there's usually also trolleys at the foyer you can take advantage of. 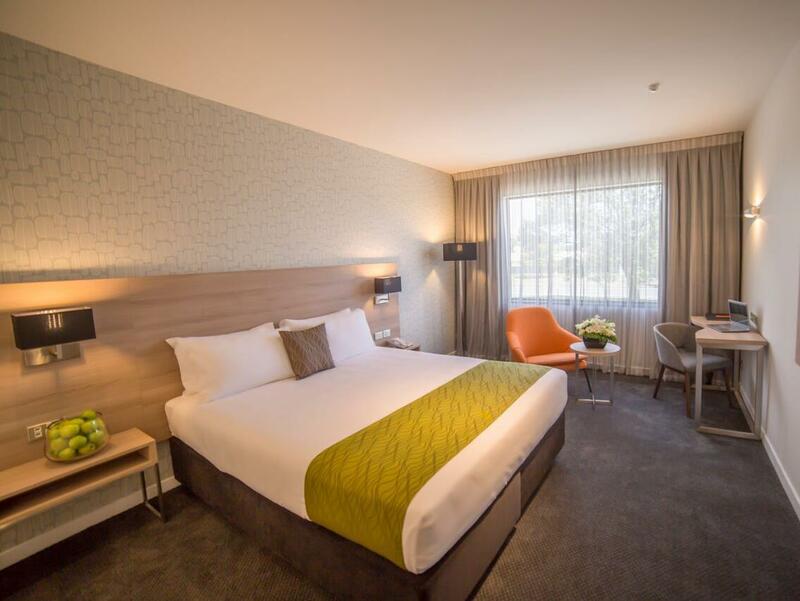 This is a comfortable 4-star quality hotel, within a 5 minute walk from the airport. It feels new-ish and reflects how well-maintained it is. Clean, comfortable rooms, not large but not pokie either. Perfect for an over-nighter if you need something close to the airport. About a 20 min ride to downtown Christchurch even in "peak hour" traffic, though you'll find there's really no such concept in very chilled Christchurch. I love that it's walking distance also the a few decent restaurants and cafes. Located 2 min away from the airport with round the clock shuttle service. It was convenient for us since we had to check in at 4am. There were cafes, a supermarket and a gift shop nearby so it was adequate for us to settle our meal and last minute gift shopping. It would have been great if the driver of the shuttle service had been more helpful with helping us load our luggages up and down the shuttle without watching us struggle with it in the beginning. Just a short walk from the airport is this unassuming, clean and comfortable hotel that's also a short walk to shops and food. Great if you're in town for the stopover. It's a comfortable walk to the airport but the hotel also offers a courtesy shuttle service. The friendly staff are ever ready to render their help. The hotel offers shuttle services not only to the airport but also to the nearby car rental offices. There's a supermarket and some eateries within a 5-minute walk. Right next to the hotel is countdown for groceries shopping or restaurants for lunch/dinner. There is a japanese restaurant selling sushi or lunch box at a discounted price when we went around 6pm. Great stay overall. The superior room is spacious and beds are comfy. Next to the hotel you can find countdown, cafe and some restaurants (Chinese, Indian, Mexican). Complimentary airport transfer is 24/7 which is very good. Overall satisfied with our stay.